UPDATED 4/12 with recording. 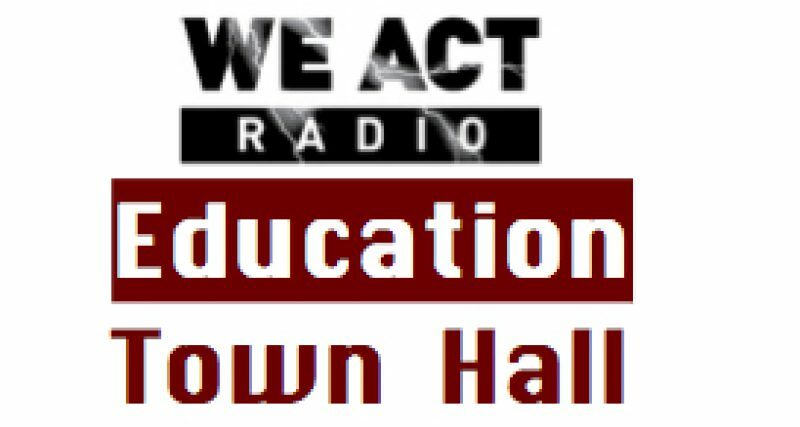 The April 11 Education Town Hall discussed transparency in DC schools and two new pieces of legislation that address it. Please not show begins around 3:50 mark and ends halfway through the hour. If a more complete recording can be found, it will be shared here. Guests include two representatives to DC’s State Board of Education (SBOE), as well as two educators linked with charter schools in DC. Zachery Parker, Ward 5 SBOE representative, has served as a teacher and currently works for the Achievement Network, coaching DCPS and charter school principals, and manages a consulting firm that provides instructional support to education organizations. Christian Herr has been a teacher for 10 years, six of which have been spent teaching 6th grade science at Chavez Prep in Columbia Heights; h is a leader in Chavez Prep’s D.C. ACTS Local 1927, DC’s only charter school union in D.C., and is a member of the teacher council of local teacher empowerment group EmpowerEd. Ramona Edelin is executive director of the DC Association of Chartered Public Schools. Jessica Sutter, Ward 6 SBOE representative. The pieces of legislation discussed are “Public School Transparency Amendment Act of 2019,” introduced by Charles Allen, which includes a provision for all DC charter schools to be subject to FOIA, as charters are in 39 states; and “School Based Budgeting and Transparency Amendment Act of 2019,” introduced by David Grosso, which has different provisions, many affecting DCPS, and does nothing about FOIA. Dr. Ramona Edelin was informed by the Host on yesterday that she could not be included in this program. It is unclear why her name is shown here as a participant; and her name should be removed.